Cupping therapy is an ancient form of Chinese medicine in which a therapist puts cups on the skin to create suction. 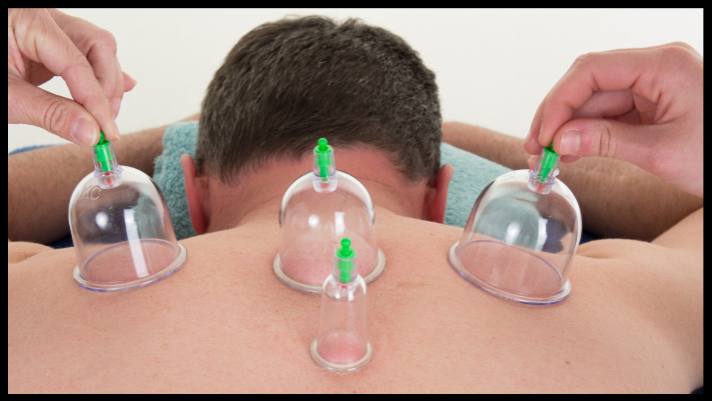 The suction and negative pressure provided by cupping can loosen muscles, encourage blood flow, and sedate the nervous system (which makes it an excellent treatment for high blood pressure). Cupping is used to relieve back and neck pains, stiff muscles, anxiety, fatigue, and migraines. Lucky for you, Modern Male’s newest team member, Carissa, is a trained expert in cupping services! Book an appointment ONLINE today or call (614) 588-0550 to request Carissa. Modern Male’s 30-minute Cupping Therapy is available on Thursday and Saturday for the price of $45 …or $30 if added to any massage! So take some time for yourself, try something new, and relax like a champion!